Dr. Julian Klapowitz has been practicing Internal Medicine and Travel Medicine on Manhattan’s Upper East Side for nearly 20 years. He holds a Certificate in Travel Health™ for successfully completing the International Society of Travel Medicine Certificate of Knowledge Examination and is Board Certified in Internal Medicine. He currently has Attending Physician status at Mount Sinai Medical Center and Lenox Hill Hospital (An Affiliate of Northwell Health). He maintains an active role in Resident-Physician education, is a member of the American College of Physicians, and is a NYC Medical Reserve Corps. Volunteer. Dr. Klapowitz grew up in Queens and Long Island. He studied Biology and English Literature at Emory University, in Atlanta, Georgia. Dr. Klapowitz attended Medical School at the State University of New York Health Science Center at Syracuse, where he received the Internal Medicine Achievement Award. He completed his Internal Medicine Internship and Residency at The Mount Sinai Medical Center in Manhattan. 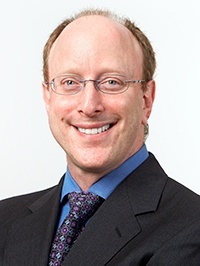 Dr. Klapowitz currently lives in Bergen County with his wife and three children.